You may be mortified by the fact that you have an acne problem, but you should be happy that there are so many ways in which it can be treated. Even if you are coming up against acne for the first time, there is plenty you can do to help yourself. Here are some of the factors you need to consider. Exercise: This may come as a surprise but you can really make a difference to your acne problem by keeping fit. Exercise helps your body to get rid of toxins and in turn flushes your overall system. Apart from anything else, exercise will make you feel good and lift your spirits so that you are in a better position to cope with your condition. This is a very important way to treat acne. Right cosmetics: If you are fond of using cosmetics, make sure you use products that do not have an oily base, so that they do not block the pores of your skin. Select hypoallergenic perfumes and cosmetics so that you do not have to deal with allergic reactions from ingredients contained in heavy creams etc. your general health and particularly the health of your skin. So do ensure that you are eating right and taking in enough of the vital nutrients. These include Vitamin A, although high doses of this vitamin have proved to be toxic; the B Vitamins, as well as Vitamins C and E. Eat plenty of fresh fruits and vegetables and make sure that you drink lots of water to flush out your system. Hormonal activity: This is particularly important in the adolescent years, when hormonal changes may cause acne to flare up. It is also relevant for women who have to cope with hormonal changes and their effects on the menstrual cycle. Acne that has been caused by hormonal imbalances can be treated by the application of topical creams or oral antibiotics. Skin treatment: Whatever you do, be gentle with your skin, especially when you have acne. Avoid touching your face as far as possible, wash your face with a mild cleanser and dry it gently but thoroughly. Ideally, you should pat your face dry so that you do not stretch your skin or aggravate the acne by rough handling. Gentle skin treatment is vital in treating acne. 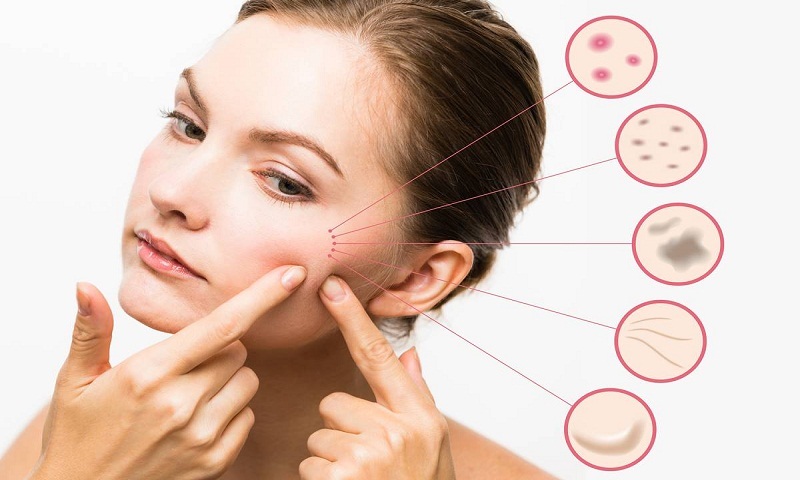 Products to treat acne: If you are using acne treatment products, make sure that you have chosen products of a good quality, so that you are not troubled by side effects or toxicity. Use proactive products as far as possible, because they have a natural base and cannot do you any harm. Ayurvedic products also work well in treating acne. Combat acne and stress with rest, sleep and diversions: Since stress can play a part in aggravating acne, it is essential to ensure that you get enough rest and sleep. Keep yourself busy with stimulating activities that will keep you in good spirits. Keep up a good lifestyle and take advantage of opportunities to divert yourself with simple pleasures like walking out with a friend. If you follow all these suggestions, you will be well equipped to deal with your acne, no matter how bad it is. And do not forget that professional guidance is never very far away.